Prosecutor – a public authority exercising control over observance of the Constitution and the laws which apply on the territory of Russia. If you want to write a complaint to the General Prosecutor's office of the Russian Federation, take advantage of the opportunities offered to citizens online, and contact the Internet reception. 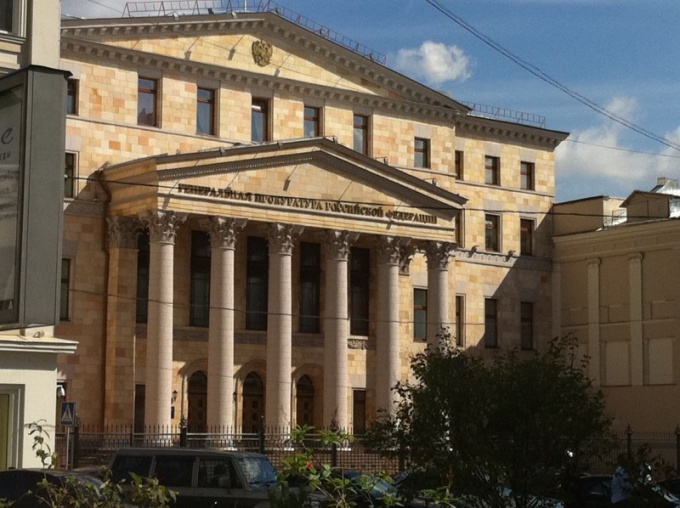 Read the Instruction on the procedure of consideration of appeals and reception of citizens in the prosecution system of the Russian Federation. Make sure that your chosen application form – the complaint meets the content. The complaint is written when your rights have been violated and the reason for that, what do you think, were the actions or rather lack thereof on the part of the authorities or officials which, by virtue of their duties was to ensure the protection of your rights. There is no uniform forms on which to write the complaint, but refer to previously with the GOST R 6.30-2003, for further details on how to issue official documents. This is useful if you want to send your complaint in a traditional way by mail. In that case, if you decide to use an Internet service, complete on site pre-form. Select special fields with your name, name and surname, email address and the region in which you reside, you will need to choose in the drop-down list on the page. If you want a response you have received in paper form, edit the field "Postal address" information about your residence, do not forget to specify the index of the liaison office. Is required field "occupation". In the "Your message" state the nature of their complaint. The message should be written in the Russian language and Cyrillic alphabet. Try to keep its essence was outlined briefly. Don't forget to divide the text into sentences, which must be logically connected. In that case, if the message will be considered unreadable, it will simply not consider. Therefore, after the treatment outlined briefly the preamble and then the complaint. It is advisable to consult a lawyer who can tell you what specific law was violated in your case. If you can list them and refer to specific articles of the laws, you have a chance that the complaint will be dealt with quickly. Be prepared for the fact that the answer to your complaint may be posted on the website of the General Prosecutor's office. In any case, you will receive a notification by e-mail, and the answer will come directly to you by regular mail.